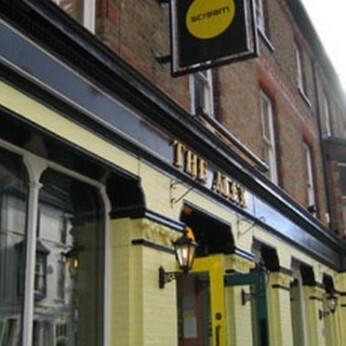 The Alex is one of the friendliest pubs in town and for many it feels like home. We have great offers on food and drink, that are made even better with our brand new MORE card. Every Tuesday is the legendary Quids... You know the drill on that one. Thursdays are made even better with our awesome quiz from 8pm, there are general knowledge rounds with a chance to win a gallon of beer and for the more arty of you there is a doodle round with a mystery prize up for grabs, its free to enter, so grab your mates and get quizzical. If live music's your new jive, keep an eye out for our regular music nights and also theme nights. We even have comedy covered with our improved nights and Little Smash Presents, an open mic night on the first Sunday of the month. With great offers, awesome events, and a friendly vibe unrivaled in the area, it'd be rude not to pop in. Oh, and did we mention that we've got an Xbox with a stack of games and a SNES with Street Fighter 2, so you can challenge your mates for the next round!